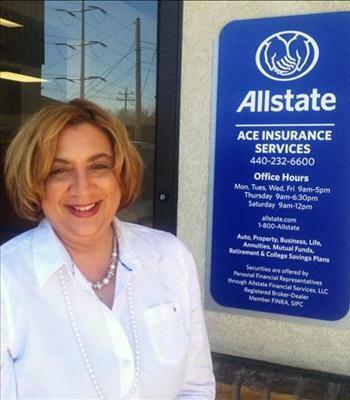 As a local Allstate agency in Bedford, our team lives and works alongside you. As a neighborhood agency, we know firsthand the risks homes in our area may face. From rainy days to windy weather, you can count on our team to explain your coverage options so you can create a policy that fits your needs. Orgullosamente atendemos a Bedford, Bedford Heights, Garfield Heights, Maple Heights, Oakwood Village, Walton Hills, Northfield, Macedonia, Sagamore Hills, North Randall. Llámame o envíame un correo electrónico para obtener un resumen de seguros personalizado. Deborah Walker tiene licencia para seguros en los estados de Ohio. Si no reside en los estados de Ohio, vaya a la sección Localizar a un Agente en miallstate.com para buscar otro agente u otro representante financiero personal de Allstate.